Up to Outlook 2010, you used to be able to choose to “Download headers only” for all your Outlook accounts. 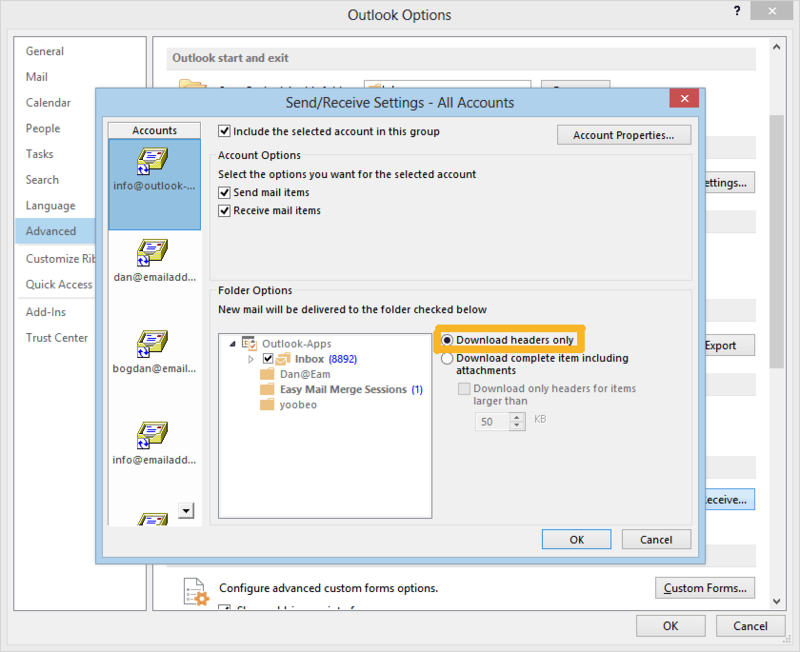 However, this changed with Outlook 2013 – this blog article describes what has changed. If you were using a POP or IMAP account with Outlook 2010 (or earlier versions), you could use the option “Download headers only” which allowed you to download only the header part of incoming emails. 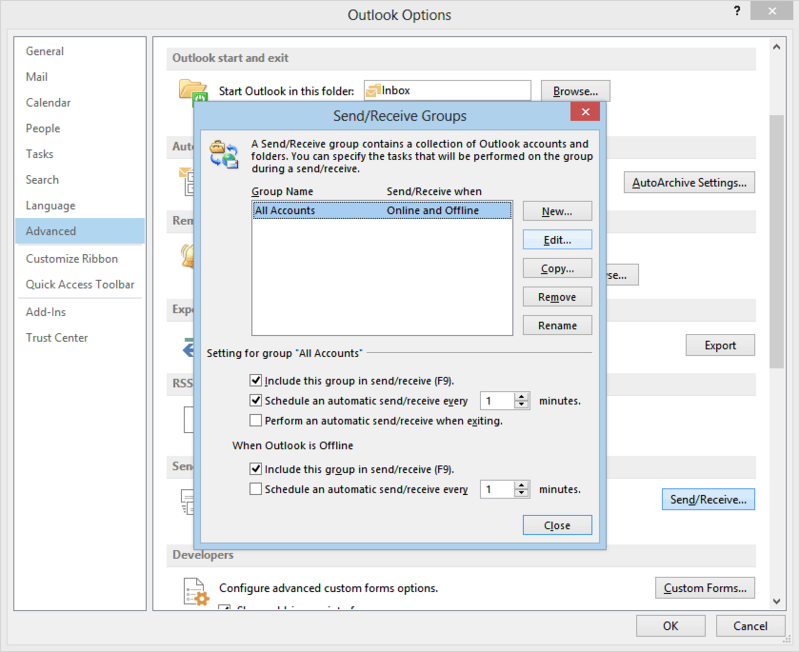 This “headers only” feature served two purposes: on one side, Outlook was able to retrieve many emails much faster, so you could preview your inbox emails quicker; on the other side, you were safe from accidentally opening dubious emails (since Outlook didn’t automatically download their potentially malicious content, too). However, starting with Outlook 2013, the “Download headers only” option is available ONLY for POP3 accounts. If you are using an IMAP account in Outlook 2013, you simply can’t use the “Download headers only” feature, so you have to either live with it or switch your Outlook account from IMAP to POP3 or to ActiveSync.